What better way to enjoy the great British countryside with your family this summer than a family sized holiday lodge. Choose from selected self catering lodges, log cabins, mobile homes and static caravans perfect for families or large groups across the UK and Ireland. Whatever your family holiday budget you are sure to find something for you, from cheap and discounted holiday lodges to 5 star luxury log cabins with their own hot tub! Of course, the self catering situated on a holiday park has the added advantage of some great family facilities including swimming pools, play areas and kids entertainment programmes. 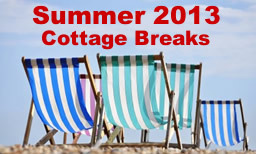 So whether you are looking for a few nights away or a family summer holiday you will find some great value breaks in England, Scotland, Wales and Ireland. Search for some Summer Holiday bargains below. The summer holidays, particularly in late July and throughout August is peak season and so lodges, cabin, mobile homes and caravans of all sizes sell out quickly. 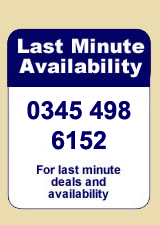 Therefore as well as checking online we would also recommend calling 0844 847 1143 to find out the latest availability for holiday lodges. The Summer Holiday season is peak tourist time in the UK and Ireland and so there is plenty to see and do with all the holiday attractions up and running. The countryside and coast will provide wonderful walks through beautiful scenery. It's also a great time to explore the pretty British and Irish towns and villages and there is nothing better than calling in at the local pubs, restaurants and cafes!